Tired of your old or outdated pool? Make it beautiful again with Richard’s Total Backyard Solutions! We have been in the pool renovation business for over 25 years, and in that time we have proudly served our customers in greater Houston and Katy. Richard’s TBS is a family-owned pool contractor that specializes in individualized pool contractor solutions, including renovations to your existing pool. From simple refurbishments to extensive repairs, we are a pool contractor that specializes in making your old pool a stunning masterpiece! If this process sounds simple, it’s because it is! To build on the pool of your dreams, rely on the experienced team of pool renovation experts with Richard’s Total Backyard Solutions in Houston, TX! -You can even add a built-in spa, a vanishing edge or a perimeter overflow feature! 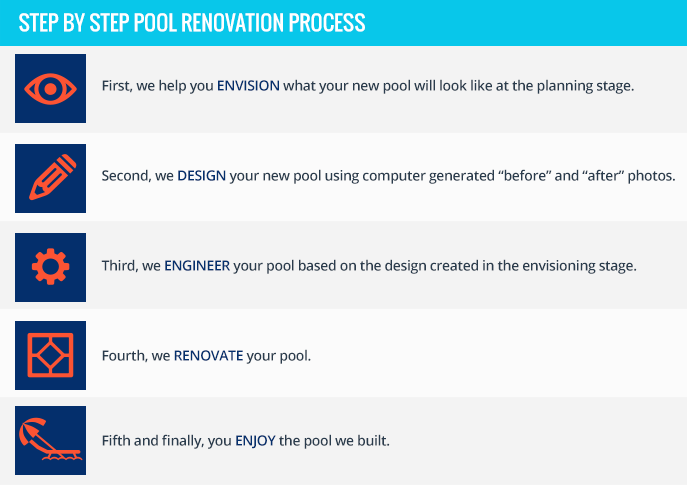 To discuss some ideas for your custom pool renovation, call us at (713) 777-7665 (POOL).